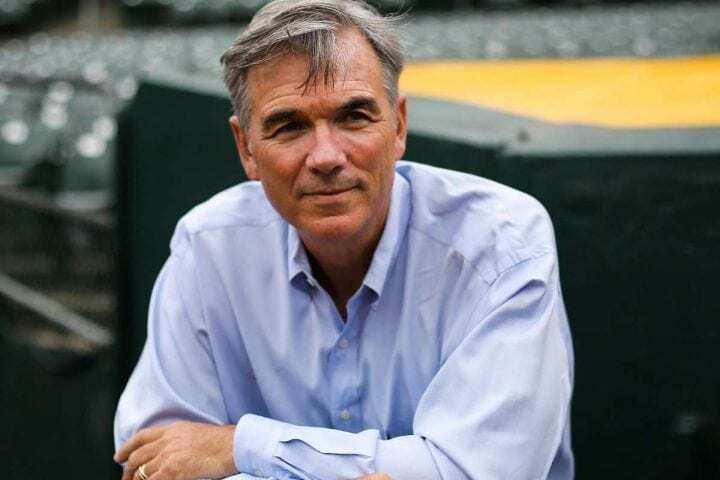 If nothing else, Oakland A’s general manager Billy Beane is dedicated to his philosophy of how to build a baseball team. Since becoming the GM in 1997, he has been at the forefront of the sabermetrics movement which not only changed the way talent was evaluated, but inspired a book by Michael Lewis and 2011 movie “Moneyball” that starred Brad Pitt. Sometimes things haven’t worked out for him. The A’s have been to the playoffs nine times on Beane’s watch and have progressed no further than the 2006 ALCS. And the team has been in last place of the AL West and under .500 for the last three seasons. But there seems to be something indomitable about the 2018 A’s. On Tuesday, the team learned that starter Sean Manaea will likely be lost for the remainder of the season with rotator cuff tendinitis. Another starter, Brett Anderson, is having forearm problems. The A’s now have five pitchers on the disabled list, two after Tommy John surgery. 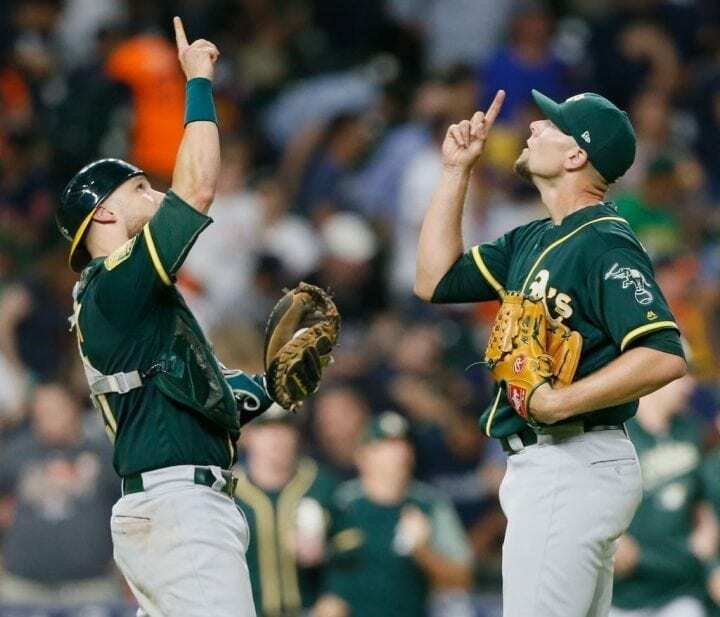 Despite it all, Oakland won again, beating the defending World Series champion Houston Astros 4-3 to pull with 1½ games of them in the AL West. The A’s are also 5½ games ahead of the Seattle Mariners for one of the two Wild Cards. The A’s played Houston on Wednesday, then start a four-game series at home against the Mariners this weekend that could solidify their hold on a Wild Card spot. After that, their likely Wild Card opponent, the Yankees, come to Oakland for three games, perhaps giving the A’s an opportunity to make a run at home-field advantage for that one-game playoff. It has all contributed to the resurrection of a team that was 11½ games behind the Astros in June. The A’s have won 46 of their last 63. Since June 15, they are 17-1-2 in its past 20 series. The A’s also have the best record in the Majors in one-run games (27-10) and much of that is due to Beane’s constant refurbishing of the bullpen. 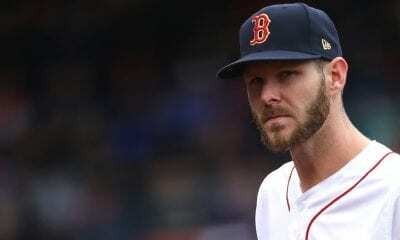 He has added Fernando Rodney from the Twins, Shawn Kelley from the Nationals and Jeurys Familia from the Mets since the trade deadline to join closer Blake Treinen, who picked up his 33rd save on Tuesday and could win the Cy Young with an 0.95 ERA. The acquisition of Treinen was a gem for Beane. His ERA was 5.73 last July when he plucked him from the Washington Nationals for relievers Sean Doolittle and Ryan Madson. 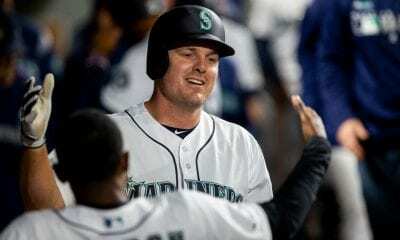 In addition, in typical Beane fashion, he has put together a team of comparatively unknown players who have stocked his lineup with production and power. His payroll is approximately $80 million. Consider Matt Olson, who hit his 24th home run of the season off Charlie Morton on Tuesday. Nick Martini, a 28-year-old rookie outfielder who wasn’t on the roster until July, snapped a 2-for-20 slump who drove a ground-rule double to right-center in the ninth to bring home the winning run. Third baseman Matt Chapman (.280) has had a breakout season. Chad Pinder (10 homers, 24 RBIs) has been a versatile player who has played in center and right, plus second, third and shortstop. Like Pinder, Mark Canha (14 homers, 42 RBIs) has played all the outfield positions plus third. But it’s been designated hitter Khris Davis who has led the way with a MLB-leading 39 homers along with 103 RBIs. 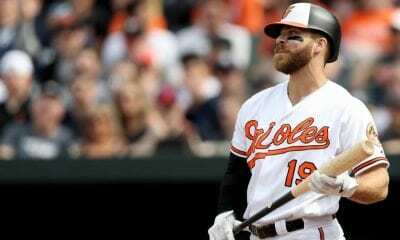 The only player on the team making more than $10 million ($10.5 million), he was acquired in a very minor deal with the Milwaukee Brewers in 2016. Davis is now the first Oakland A’s player in history (and that includes Reggie Jackson, Jose Canseco and Mark McGwire) to have consecutive 40-homer seasons. If he can hit one more, we will join Jimmie Foxx (1932-34 for the Philadelphia A’s) as the only players in franchise history with three straight 40-homer seasons. Not only that, but only Giancarlo Stanton (86) hit more homers than Davis (85) in 2016-17. Last week, Davis asked Anthony Slocumb, a 10-year-old in remission from cancer, to sign his jersey. Then Davis went out and hit a mammoth homer for him against the Texas Rangers. And speaking of sabermetrics, they came into the season with just a 16 percent chance of making the playoffs and a six percent shot at finishing first in the AL West. How do those numbers look now?